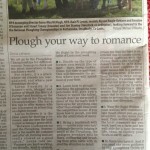 Brian and I spent ten years married before we returned to Ireland to farm. We went from working in 9-5 jobs and being child-free to being self-employed, farming and with a tiny baby (Will was three weeks old when we returned to Ireland). They say moving house is stressful, they say having a baby is life-changing and I presume they say changing career must have some effect too so we decided to do all three in one fell swoop and get all of life’s stresses over with! 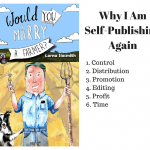 As a result, I can compare living with a farmer to living with a ‘normal person’ with perhaps more objectivity than most as essentially, the person was the same, albeit a few years older although not wiser. I was at the Ballymaloe LitFest a few weeks ago and seeing all these items created from pallets, perfect summer projects for the summer, reminded me that 15 years ago, Brian would have had time to make them but would have viewed it as a nice little challenge and project – to create useful furniture from something that didn’t cost much as well as recycling. If I do get to convert the garage to a study, I’m thinking the shelves (if deep enough) would be quite rustic on the walls for lots of paperbacks as well as display for those special books. I have one of those spools too so combining one with a pallet would make a perfect coffee table beside my battered old Chesterfield. We do need more garden furniture ?- these would be ideal. However, while I’m sure he would enjoy doing them, if he does have some free time during the summer evenings, he is more likely to be digging in the garden rather than sawing wood. I’ll let you know if they ever get made. 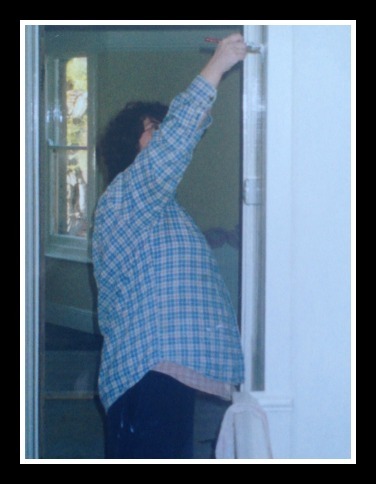 This ties in with the previous one but in our pre-farming lives, we decorated our first house in five years, installing a new kitchen and paint stripping lots of Victorian doors and skirting boards. Our second house needed a lot of work so we literally camped for a few months, putting most of our furniture into storage. It required some new electrics, new floors in all the rooms downstairs, a new bathroom and a new kitchen. We moved into this house in August and literally camped in it for 4 months. 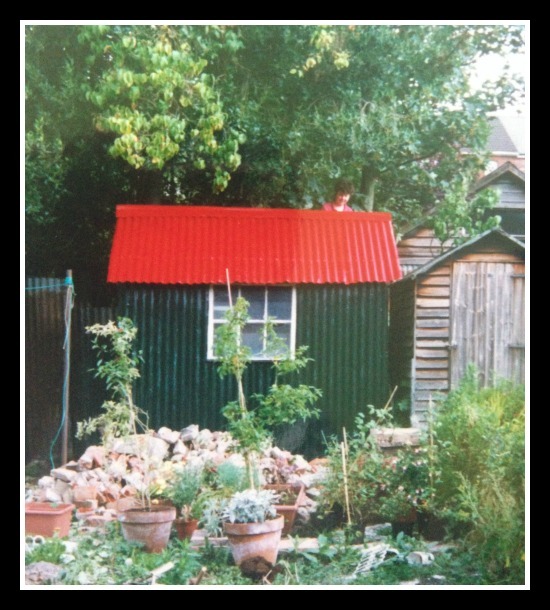 As the weather was so good, we decided to paint the shed for an excuse to get out into the garden! 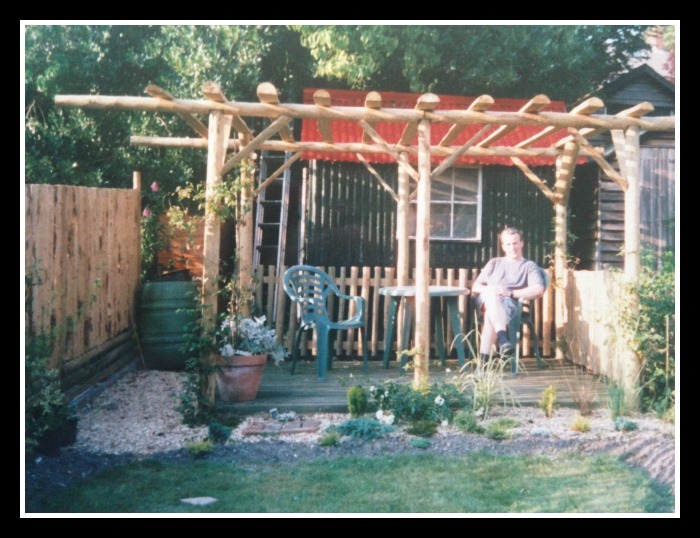 Garden completed with pergola and planting and then we moved! We did it all ourselves. We lived there for two years – it took us about 18 months to get it finished and then we started thinking about another project. Our next house had a basic bathroom and a bath in the kitchen! We installed a new kitchen and bathroom, decorating all other rooms – in about 12 months. 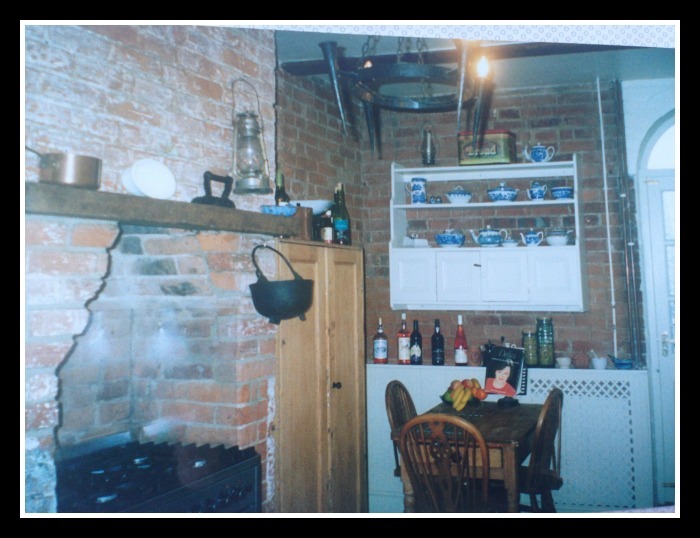 I loved the kitchen, red brick walls, red brick fireplace, big larder type cupboards, Belfast sink, radiator cover and I really wish we had kept that shelving unit at the end, we sold it with the house! Our next house was in Southamption – I had finished my MA at this stage and got a post-graduate loan for ?10,000 plus I earned about ?6,000 that summer marking tons of exam papers so we paid for the deposit that way. It just needed decorating and a few repairs – we rented it out as individual rooms. I remember the first guy was so excited with the huge bedroom downstairs, really high ceilings with beautiful blue curtains I had made on an old sewing machine, a Singer machine on which I had to turn the handle. I was making the curtains for the Southampton house while our own house was only half done. (Note the wall is half plastered (damp proofing) and it’s not decorated yet). ?I made all the curtains for that house on it – which included two large bay windows. Then, it got to the exciting one. We fell in love with a house in Lower Bemerton. It had been rented out for 50 years, it had an outside toilet and a covered bath in the kitchen but being semi-detached, it meant that we could divide one bedroom into a smaller bedroom and bathroom so it could stay as a 3 bedroom house. We had to bid for it in a closed bid system so put in a bid for ?101,600 and we got it! That was a busy year as I was pregnant so wasn’t able to help as much plus we were working towards moving back. Sometimes I think we should have taken it easier and had a long holiday abroad before we came back! 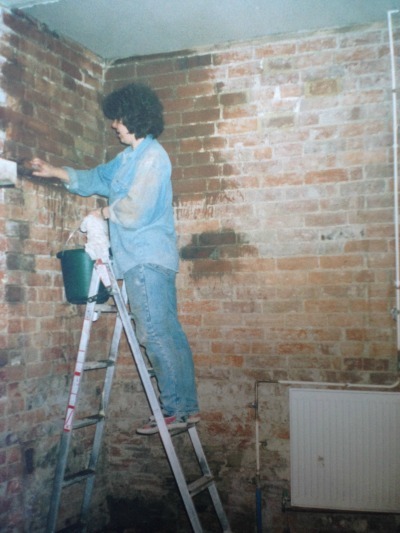 We got builders in to build walls, knock down walls and put in french doors in the kitchen and to do the electrics but we did everything else ourselves – new bathroom, new kitchen, fireplaces, decorating and laying the garden. We’ve been in this house for 9 years now and I can only get him to do some decorating in December and January – and yes, had to get plumbers to do the bathroom. But on the plus side, he does help me with it in December and January. I’m married to a man who finds it hard to sit down in the evenings so I get loads done! Not only did we do the grocery shopping together at times, but he used to do it on his own too. If Brian is in a supermarket twice a year at the most now, that would be it. 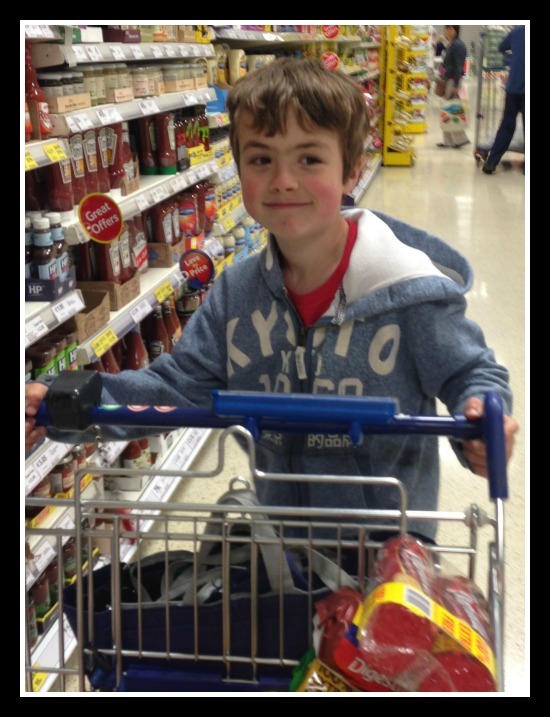 I remember when the children were little, we went on holiday to Cork and it was a huge treat for them to have him grocery shopping with us. They had a favourite ‘Topsy and Tim’ book, the story of twin 5 year olds who went shopping with their parents and Topsy got lost. Kate started to cry as we left as she hadn’t got lost but at least there was one of those motion helicopters on the way out so they could ride in it, just as Topsy and Tim had done! That is what life is like married to a farmer – going grocery shopping with dad is hugely memorable. I’m not a naturally good nor enthusiastic cook hence it suited fine that Brian cooked every meal and I did the washing up. Whenever we had friends coming to dinner, he planned the menu and cooked everything. I dressed the table and cleaned the house, and yes, I washed up the next morning. 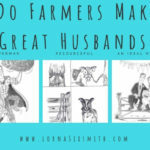 Now married to a farmer, I’d say he cooks once a month – if I’m away! He may cook a couple of meals in December and January but that’s normally because Kate wants to learn how to cook something and she knows all to well that I’m incapable of cooking it let alone teaching her how to do it. I’ll be honest, because cooking would not be my number one pastime, I’m just not one of those people who rubs their hands with glee and is happy to spend time chopping veg and mixing and tasting and adding, the cooking is the thing I miss most. ?I get a glimpse into that world when I see my daughter sitting down reading happily and then she’ll jump up and say ‘I think I’ll bake something’ and she goes out and spends time pottering around the kitchen creating something tasty, completely in her element. 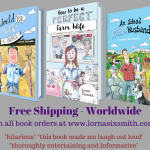 Many couples tend to divide the chores – sometimes the man does the ‘house exterior’ jobs or sometimes he does the jobs that she hates and he doesn’t mind doing. To be honest, I can’t remember if one of us did put the bins out, we probably both did it to be honest but I’m going with the stereotypical division of roles here. If you’re in a heterosexual relationship, it may be the case that he puts the bins out. If you’re with a farmer, forget it. Our bins are stored at the roadgate which is about 500 metres from the house so it’s a case of putting any bins or recycling into the car and dropping them in when I collect the kids from the school bus. The same goes for jobs such as cutting the grass and washing windows by the way. They are seen as connected to the house so they are my baby! On the plus side, he can never criticise the state of the house, well, he does occasionally raise his eyebrows as he fights for space on the kitchen table with all the paperwork, and sometimes he does groan that the children will be as bad as me but that’s because he grew up in a tidy house. Brian’s mum would never have gone to bed without making sure everything was clean and tidy, that the cup she had just drank her last cup of tea from had been washed up. My attitude regarding the supper cup of tea (and sometimes the tea things) is they can be done tomorrow, after all, the fairies might do them during the night. To be honest though, I think it comes down to how busy your farmer is. We really need a workman, Brian works very long hours. Some dairy farmers will finish at 6pm and will help then. Tillage, sheep and beef farmers will be busy seasonally but can help out at other times. However, he is always available with the loader to lift me up to do the windows so at least I don’t have to stand on a ladder which makes me really nervous! When I was painting and washing windows last year, he even went off and borrowed a cage so I’d be safe in the loader bucket – now surely, that is love! When we lived in the town and worked 9-5, it was nice if the weather was good over the weekend so we could get out into the garden or go for a walk in the New Forest. If the weather was very dry, our biggest concern was watering the garden plants and flowers. We now have the situation where our livelihood is largely dependant on the weather. If the weather is good and we get a good crop of silage, it saves some expense the following winter. If the weather stays fine late into the autumn or early in the spring, it means we can get cattle and cows out to grass thereby cutting down on their time indoors eating silage. If the weather is very dry, we don’t have too much to worry about as our land is fairly heavy but watering fields would be a much bigger job than watering a small garden. Watching the weather forecast becomes habit, the children even shout out ‘the weather forecast is on’ from about the age of four! Before Brian got his smartphone, he used to ring some weather line and listen for about 4 minutes to hear the indepth weather forecast. Your life is controlled by the weather. When we had plans to go and see the play Charolais a few weekends ago, it was all down to what the weather would be like as to whether Brian would get to go or not. On the plus side, if it is raining, he’ll be able to go to weddings with you! And yes, despite being dairy farmers, we do sometimes decide on a beautiful Wednesday morning during the summer holidays ‘Let’s go to the seaside’, – there is room for a little bit of spontaneity. Unless he got delayed at work, he was always on time for dinner. Well, he cooked it most of the time anyway so being on time wasn’t difficult. Like most working couples, we ate dinner around 7pm and then would have a cup of tea watching a soap opera. 8 o’clock was decorating time! Even though we have a reasonably set dinner time, ie 3:30 when the kids get home from school, he still manages to be late. Sometimes it is because something went wrong or he just got delayed. Other times the reason is that he finished something around 3ish and decided to do something that would just take 20 minutes but ended up taking an hour. The good news is I can blame his delay in the food not being as tasty as perhaps it could be! The amount of time spent watching television was much more then (and we weren’t huge TV watchers) plus the type of programme was very different. We watched Coronation Street and occasionally Eastenders, detective programmes such as Midsomer Murder and Morse, films, Antiques Roadshow and yes, those idyllic farming programmes such as Countryfile. Having a sports mad son means that sport is on regularly not to mention any of Bear Grylls programmes. I haven’t watched any of the soaps in years and while I enjoy watching Countryfile, Brian rarely sees it. We have a chance of seeing a programme regularly if it’s on after 10pm so The Good Wife is one, the Mentalist is another and that’s about it! Event at that, I’m pretty useless at remembering what nights the TV programmes are on so the only night that I really get to watch good dramas are Sunday night. I love Downton Abbey! Maybe life has become too full for television – which is a good thing. Sunday evenings went from being a case of Glenroe and ‘aaah, homework’ to that Sunday evening ‘ooooh, work tomorrow, better iron some clothes’ feeling to now a ‘all days are the same but we got a couple of hours off today’ feeling. A really good thing about farming is you never have that Sunday night / Monday morning dread. In the city or even in the ‘town village’ we lived in, we really only got to know work colleagues and immediate neighbours as well as a few others. However, when you marry a farmer, he has usually lived there all his life so he knows every family around not to mention all their past history. It’s different with us though, we’re living on my farm and between having being away for years plus the fact that I’m utterly useless at putting 2 + 2 together and working out that a is related to b, I never have a clue who anyone is. Brian will tell me someone has died and that she was a brother of a neighbour so I’d better tell my dad. I never even realised they were related. My parents do go to a lot of funerals and I kinda feel they ‘represent’ us at them too! ?Brennan is an incredibly popular name around here, apparently there are 40 different Brennan lines in one single parish. We have neighbours called Slippys and Podgys – I was about 15 when I realised that those weren’t their real surnames, that they were nicknames as they are so many Brennans. Barely knowing neighbours suited me fine when living in the UK- at least I wasn’t expected to know them. Brian is the blow in but is much better than me at working out who people are let alone remembering faces and names. Most farmers will know their neighbours really well and you’ll eventually get to know them too. I was doing a sponsored cycle the other day with a friend and we called into the local petrol station as my back wheel was soft. A guy came over to us to ask if we wanted help and went off up the road to get us a bicycle pump with the right attachement and pumped it. Turned out he was a part-time farmer who had bought silage bales from us during the long winter of 2013, small world! But that’s how helpful people are in local communities and it is lovely to experience it. I’m comparing England and Ireland here rather than urban and rural but in city England, if someone offered you a cup of tea and you said no, they would accept that you didn’t want one. If you said yes, you would get just that – a cup of tea on its own or with a biscuit if you are very lucky. No cake, no homemade tart, no scones. If someone in Ireland says no to a cup of tea, they get asked at least another couple of times and the kettle is put on anyway, sure in the knowledge you will change your mind. If biscuits are the only thing on offer, they come with apologies. There are likely to be a choice of homemade cakes if your presence is expected. I interviewed three farm women in Co Clare last week and the table was filled with a choice of apple tart and scones let alone the teapot being filled multiple times. A true farmer’s wife is capable of yielding a huge teapot at any event, pouring copious cups of tea and believing tea to be the cure of all ills. It’s a fact that as farmers, we are self-employed, we can take time off whenever we want – subject only to things like repayments to the bank, the calving / lambing, the breeding season, the harvesting, the milking. Last year we got away for 4 nights spread over 3 breaks. This year we did get away in January for a week to Lanzarote (which was fab) but last Sunday was our first day out since! When we were working as a scientist and a teacher, Brian got 32 days holiday a year plus bank holidays plus two weeks paternity leave. I got the teachers’ holidays of about 13 weeks and at that, I felt envious of Irish secondary school teachers with their 10 or 11 weeks summer holidays. Having said that, I do like the flexibility of being self employed – nothing beats it. Only your own targets to meet, outside when you want to be. I find I get claustrophobic if I’m indoors for a whole day teaching or at a conference and that brings home to me how much I am actually outdoors during the day. When I was working and leaving the house at 7:15 am and not home until 6pm, I never saw the street in daylight from Sunday to Saturday during the winter months. I like being able to see my house and garden in daylight every day in the winter. Who ever heard of a spontaneous farmer? Well, maybe if he doesn’t have livestock or has a relative to look after things while they are away but in general, there’s a million things that have to be organised and planned for when heading off for a break. As people say regarding the difference between beef farming and dairy farming – it’s a lifestyle choice! In comparison, our pre-farming days meant that we could throw things into the car and head off on a Saturday morning till the Sunday evening if the weather was good. I just wish we had done even more of it. But as I said above, we do it on occasion during the summer – once the cows are milked, the cattle herded and we’re going to be back at some stage to milk again, a lovely summer’s day will come and we’ll take advantage of it. Many 9-5ers will have a private or public pension with their job, maybe even the added benefit of health insurance or a redundancy payment if the worst happens. Of course, being employed means you always run the risk of being unemployed which isn’t pleasant but retirement for most would mean a comfortable income and if they have downsized their house, extra income from that. Farmers are often so busy making repayments to the bank and educating their children that pension planning isn’t top of the list. When retirement comes, most farmers will pass it to a son and if their pension isn’t big enough, they will hold onto some land and rent it to the succeeding farmer. They usually stay living on the farm too, either in the farm house or getting the young farming couple to build them a bungalow on the farm. What Brian and I pay into a pension depends on the tax situation each year but the silver lining of paying tax does mean that we are putting money away for retirement. Some years I think to myself that surely we will have a great retirement!! If neither child farms, I’m really not sure what we will do with the land but that decision is a long way off. If one of the kids farms, we will probably live in the house we renovated (and now rent out) which is five miles away. I’d love to live by the sea though for a change of scenery. Brian will be happy in a large garden and as long as I have books to read and a writing desk, I’ll be in my element. I would also love to go and live in different parts of countries for 2 or 3 months at a time – places such as Yorkshire, Cornwall, the highlands of Scotland, Norfolk, Southern France, Brittany. I don’t want to travel far but would love to live in cottages there for 2 or 3 months at a time. Admittedly, with children, Saturday mornings would be busy in any case but if we were both working 9-5, I’d imagine we would have shared the Saturday morning activities re bringing children to them. I would have spent occasional Saturday mornings having a lie on or going to the hairdressers or meeting a friend for coffee. As it is, I bring the kids to 99% of activities and Saturday mornings are spent on the farm helping out. However, as Brian gets up at 6am for most of the year, I do feel I get a bit of a lie on as I roll over and get up at 7:15! The kids are never bored and they develop a really good work ethic! I know many farm women work off farm so children are looked after in a creche, by a childcarer or a grandparent. Sometimes the farmer has the childcare role, looking after them after school and bringing them to activities but not dairy farmers! ?I could have gone back to work as a teacher I guess but part of the reason for returning to farming was so that we could do it together. Although I now work and I love it, it’s flexible around the children for the most part when they are in school. My parents live nearby but even at that, it’s not that often I have to call on them to look after the kids. Children in Ireland get 9-12 weeks holidays in the summer, I’m really not sure what parents do when they both work. I know in the UK that parents would take two weeks holidays, and the children would be divided amongst the grandparents for the other four weeks. I love being able to work around the kids, working and training when they are in school and yes, when they are doing their homework too, and when they are in bed. I like that Brian is available to look after them if I have to go away or if they want to spend time with him they can go out on the tractor with him. 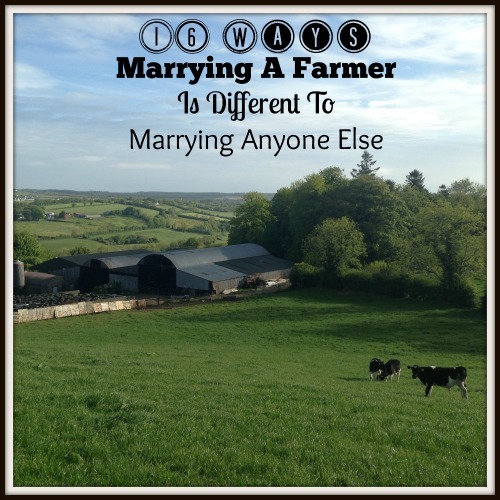 As one farmer’s wife said to me, her farmer husband was able to go to all of her ante-natal classes with her whereas her friends married to non farmers didn’t have that. Swings and roundabouts at times but there’s a lot to be said for bringing children up on a farm. Which would you prefer? I have to say that each has its advantages and disadvantages. I do like being my own boss, I like working for myself and I love the solitude. I never thought I’d see myself as a farmer to be honest but maybe I’m more suited to it than I ever thought. For me, the main disadvantage is not having a a decorator and cook around for most of the year.? Very interesting read, thoroughly enjoyed this! That was good . I will add that my husband and I take separate vacations . If we did not ,he would never go anywhere . By talking separate vacations ,and one of us being at home ,minding the fort(farm) the one traveling will relax. I can do most things on the farm ,except dealing with the tower silo ,but I have a friend that I can call on ,and my husband can do all of it . I used to be a home economics teacher before I married a farmer, but I grew up on a farm. Thanks Mary, I’ve heard of others doing that too. Mind you, I wouldn’t mind heading off on a writing retreat this summer to concentrate on the book without any distractions. 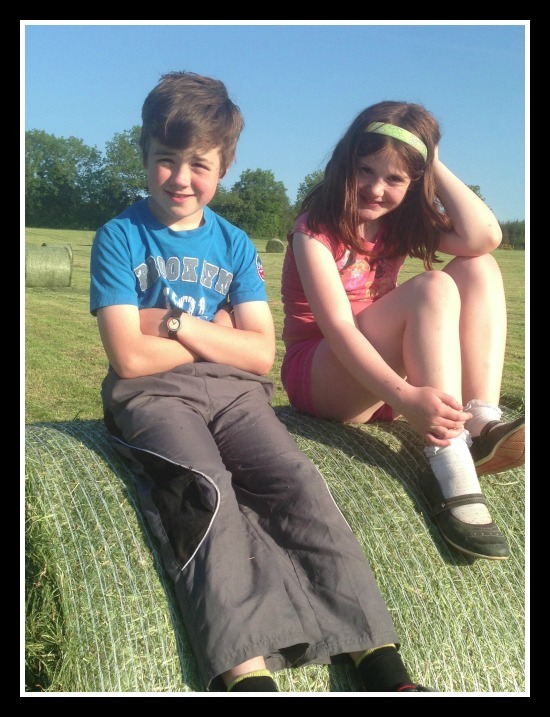 What kind of holidays do you both enjoy – does he like going on farming tours? We find the kids aren’t all that keen on going away without Brian – a holiday has to be a family holiday so he is forced into it.